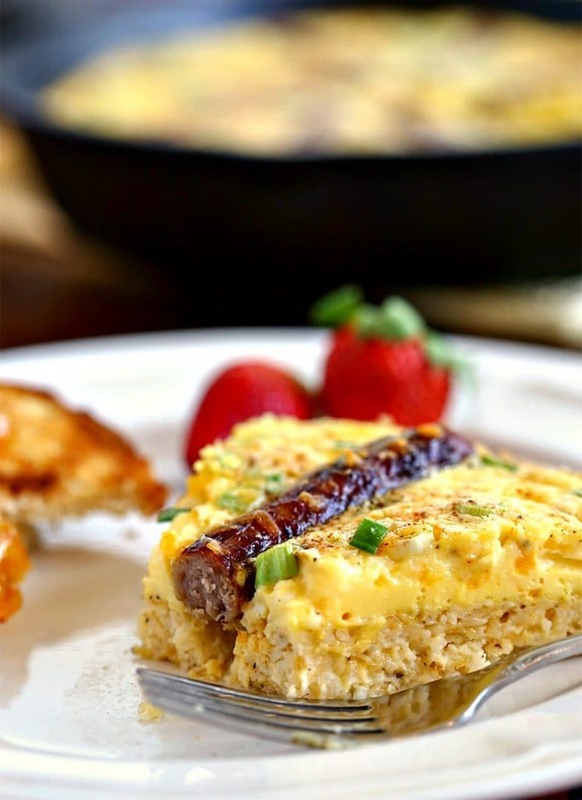 Baking and serving Rustic Sausage & Grits Egg Skillet in cast iron makes for a deliciously fun country brunch with layers of cheesy grits, sausage, and eggs. John and I have two daughters who live out of town and when they come home for a weekend visit, they often joke about staying at Mom and Dad’s B&B. That literally makes my heart smile! We try to make every visit special and and one way is that we always prepare brunch to enjoy leisurely on Saturdays. Food and conversation—that’s what it’s all about, friends. Gathering around the table, sipping coffee, listening, laughing, and just enjoying each other. We are blessed, that’s a fact! John usually mans the griddle—whether it’s frying up bacon, pancakes, or Smithfield’s Fresh Breakfast Sausage. 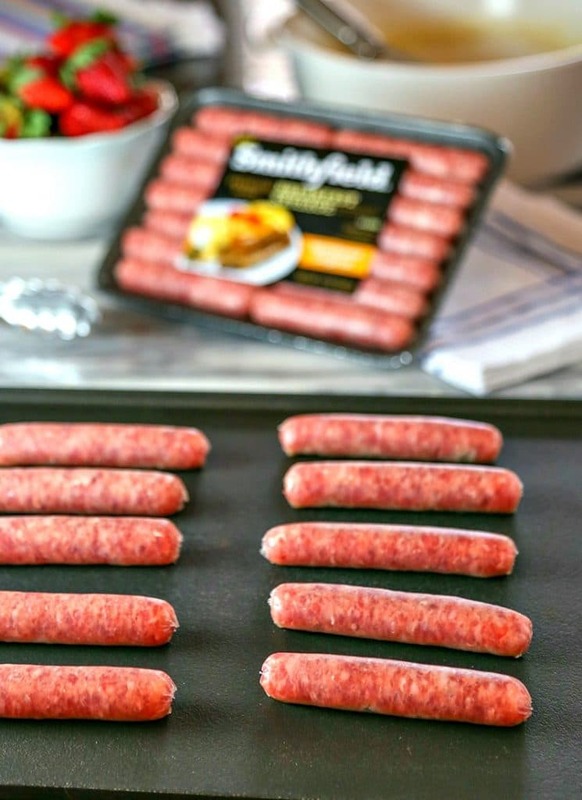 Smithfield’s sausage is available as patties, links and rolls, and besides the hometown original, comes in both bacon and maple flavors. I decided to use the sausage links in my Rustic Sausage & Grits Egg Skillet. 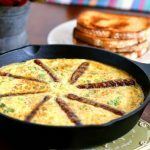 I baked my breakfast casserole in a cast iron skillet with the sausage links in a “wagon wheel” pattern for a really fun presentation. 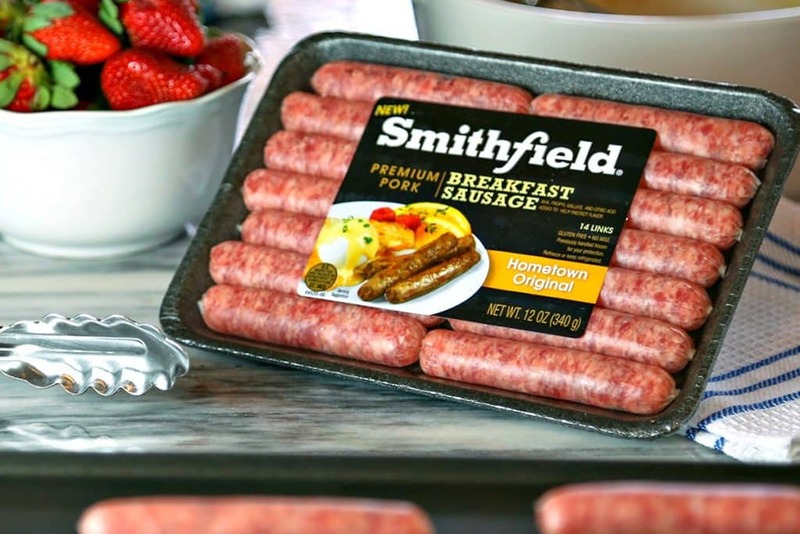 Smithfield has a variety of brunch-time solutions, like naturally hardwood smoked bacon, legendary cuts of ham, and high-quality fresh breakfast sausage. This is a sponsored post written by me on behalf of Smithfield. In a saucepan, bring milk and butter to a boil over medium low heat. Whisk in the stone ground grits, salt and pepper. Cook and stir constantly for 8 - 10 minutes or until very thick. Remove from heat and stir in 1 cup of cheddar cheese and 1 egg. 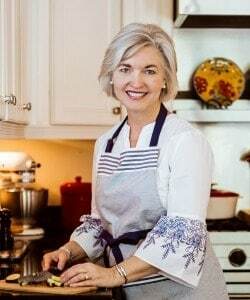 Allow to rest for 10 minutes while you heat the cast iron skillet. Grease the cast iron skillet with vegetable shortening and place in the preheated oven for 10 minutes. Carefully remove and add the grits to the hot skillet, spreading to cover the bottom. Bake for 25 minutes. While the grits are baking, cook the sausage links on a griddle or skillet as directed on the package. Remove to drain on paper towels. In a large bowl, whisk the eggs, heavy cream, milk, salt and pepper together. Stir in cheese. 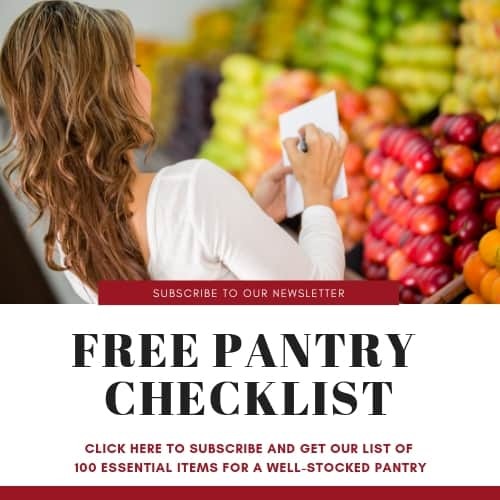 Remove grits from oven and reduce the temperature to 325 degrees. Arrange sausage links on top of grits in wagon wheel pattern. (If you prefer, you may chop the sausage links and sprinkle all over top instead.) Pour the egg mixture evenly over top and sprinkle with the green onions and a dash of red cayenne pepper. Return to the oven and bake for 30 minutes, or until set. Allow to set for 10 minutes before serving. Great afternoon brunch idea! Cannot wait to try it! I think I might need to schedule a brunch for this weekend so I can try this one! We love breakfast sausage! Weekend staple! 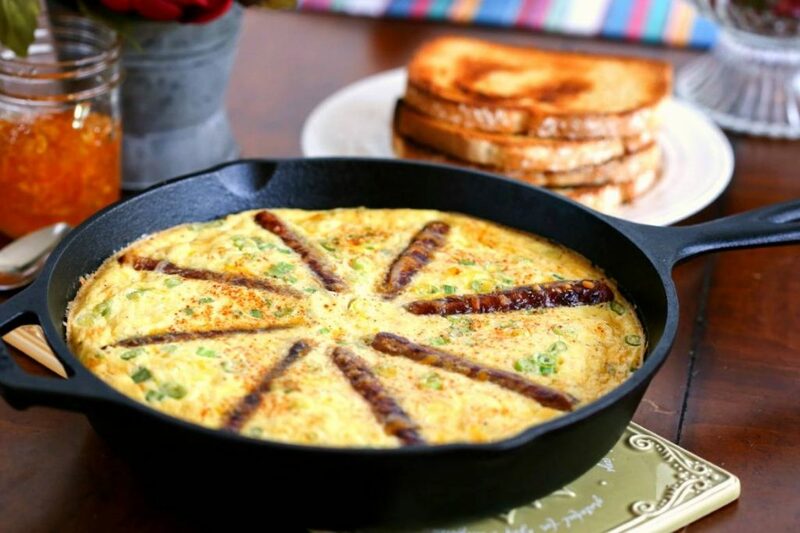 What a delicious looking breakfast skillet! Now this is a breakfast that my husband would go crazy over! Can’t wait to make this for him! We enjoyed this! We have family visiting, so making it again this weekend. 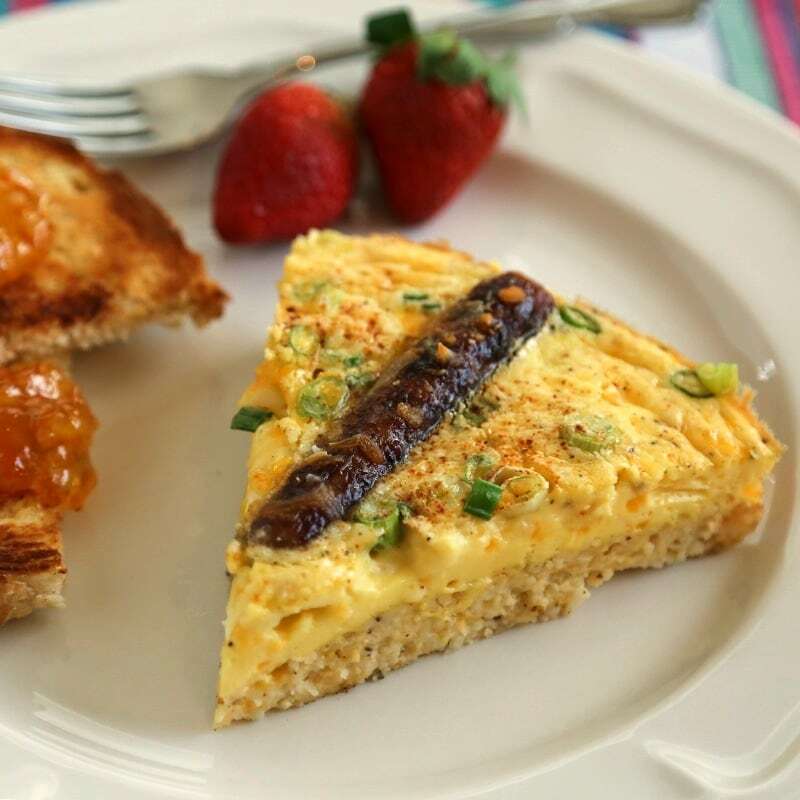 Thanks for a new, awesome breakfast dish!